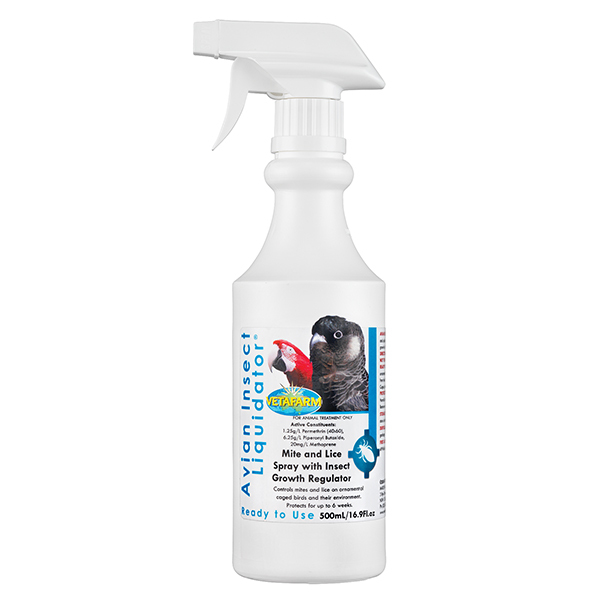 Provides exceptional nutritional balance, supporting optimal growth, feather development and immune function for baby birds. Ideal formula from hatching to weaning. Contains 13 vitamins and mineral, 9 strains of good bacteria and 7 digestive enzymes. Veterinary formulated for optimal growth and development. Recommended for most species of parrots. Sensitive species such as African Grey Parrots, Black Cockatoos and Hyacinth Macaws should be raised on Vetafarm Neocare. Please note: The below directions are a guide only. If babies’ crops are emptying faster than normal, add slightly more Nutricore formula to your mix. If babies’ crops are emptying slowly, slightly more water can be added for a thinner consistency. – Always ensure food is fed to babies at a temperature of between 38-41°C. – Never reuse a premixed batch of formula from a previous feed. Mix Nutricore fresh every feed. – Always ensure feeding utensils are thoroughly cleaned and sterilised between feeds. – Always weigh your babies at the beginning of each day before their first feed to ensure they are gaining weight. – Always mix well to achieve a uniform consistency, cool to feeding temperature (38-41¬⁰C) and feed fresh to babies. Feed a combination of Spark Liquid and Synbiotic solution only, for the first 24 hours or until your baby passes the meconium (first dropping). After the first dropping, mix 1 heaped teaspoon of Nutricore with 5 teaspoons of hot, pre-boiled water to make a very thin solution, then feed this solution for the next 24 hours. This solution can be gradually thickened over the following 3 days until the Standard feeding dilution is achieved as outlined below. Mix 1 heaped teaspoon of Nutricore Hand Rearing Formula with 3 teaspoons of hot, pre-boiled water. This consistency will be used from day 5 through to when the bird weans onto an adult diet. 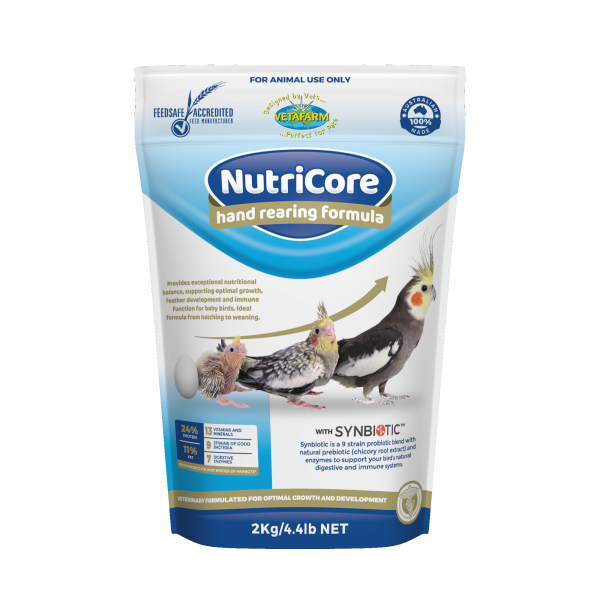 A Nutricore mix of very thin consistency should be fed to babies for at least the first 24 hours when transitioning from another brand of formula or when pulling babies older than 5 days from the nest for hand raising. This is to ensure babies remain hydrated and allows a period for adjustment to the new diet. The recommendation for this transition period is 1 heaped teaspoon of Nutricore with 5 teaspoons of hot, pre-boiled water. Australian soy isolate protein, maltodextrin, Australian pea flour, Australian potato starch, vegetable oil, whole egg powder, blueberry, Fructose, Vetafarm Synbiotic*, vitamins (A, B1, B2, B3, B5, B6, B9, B12, C, D3, E, H & K), and minerals (calcium, cobalt, copper, iodine, iron, magnesium, manganese, phosphorus, potassium, selenium, sodium, sulphur & zinc). *Vetafarm SYNBIOTIC provides: Probiotics (5,500 CFU/g) Lactobacillus acidophilus, L.casei, L. salivarius, L.plantarum, L.rhamnosus, L.brevis, Bifidobacterium bifidum, B.lactis, S. thermophilus. Prebiotic: Inulin (chicory root extract). Enzymes: protease, amylase, cellulase, hemicellulase, lipase, papain, bromelain. 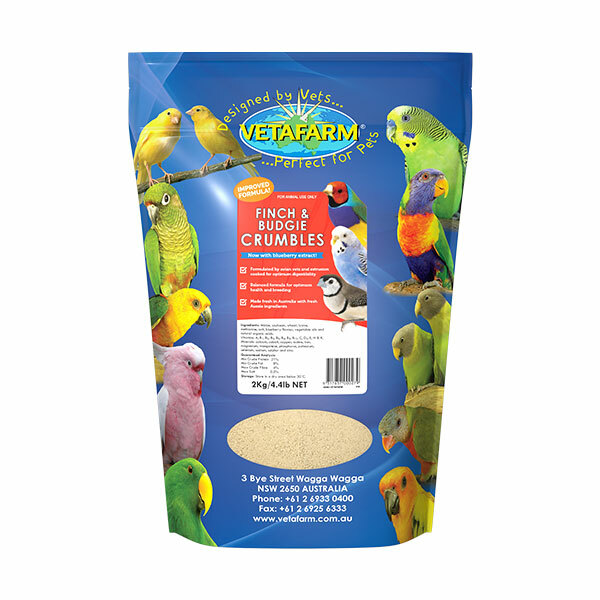 Completely balanced extruded crumble diet specifically designed to meet the particular dietary needs of pet and breeding finches/budgerigars. 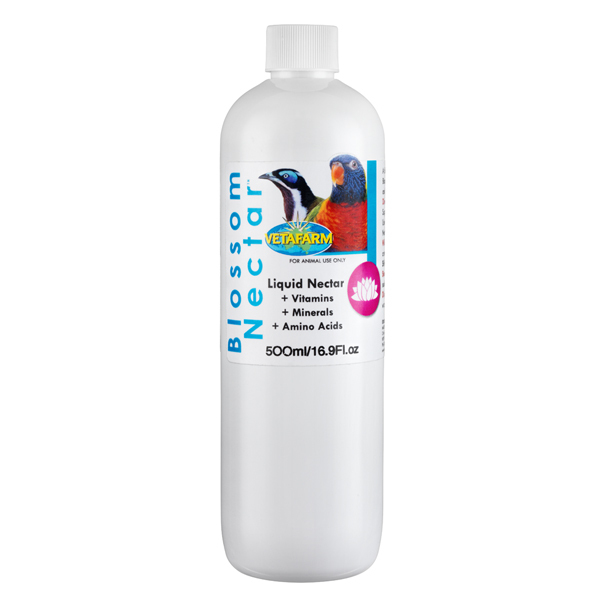 Liquid nectar supplement to be added to lori/lorikeet diets or supplied to wild birds/gliders in a suitable dispenser.